Azul Linhas Aéreas has become the first airline in the Americas to exceed modern flight tracking safety standards by embracing truly global, real-time flight tracking capabilities onboard aircraft, with SITAONAIR’s best-in-class AIRCOM® FlightTracker. The Brazilian low-cost carrier has upgraded to SITAONAIR’s advanced cutting-edge FlightTracker option, which integrates AireonSM space-based Automatic Dependent Surveillance-Broadcast (ADS-B) data from FlightAware®. This gives the airline enhanced awareness of the precise position, speed, and altitude of its full airborne fleet, anywhere in the world. SITAONAIR has now activated its enhanced FlightTracker capabilities aboard Azul’s fleet of A320s and A330s, Embraer 190 and 195s and ATR 72-600s. This was completed in November 2018, ahead of the official launch of the International Civil Aviation Organization (ICAO)’s Global Aeronautical Distress & Safety System (GADSS) 15-minute aircraft tracking standard. 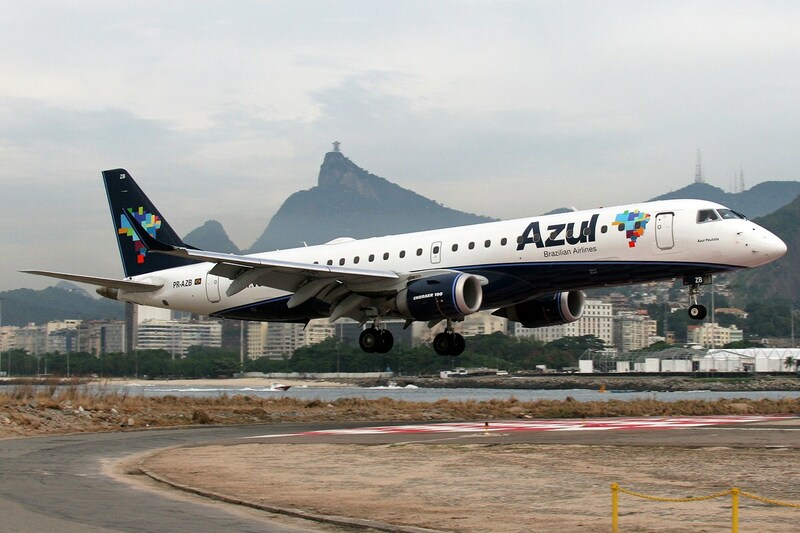 With the Aireon system, Azul will even exceed the ICAO’s 15-minute standard by receiving aircraft position reports at a standard frequency of at least once per minute. Already adopted by airlines operating more than 400,000 flights every month, SITAONAIR’s AIRCOM® FlightTracker is a ground-based software system delivering vital global real-time aircraft position alerting to airline operations teams. The application aggregates the best available inflight position data from a wealth of sources – including Aireon’s cutting-edge space-based ADS-B data provided by FlightAware® – on a single aircraft position display. It can deliver real-time flight tracking coverage, even in the farthest reaches of the globe, including oceanic and other remote areas, without aircraft modifications. And coverage density has only improved with Aireon’s space-based ADS-B system. Dominique El Bez, SITAONAIR Vice President, Product and Strategy, says: “We truly believe SITAONAIR’s FlightTracker is the best solution on the market, and are incredibly proud to work with our cherished customer Azul to be the first in the Americas to activate global, real-time flight tracking technologies with our unrivalled solution. The Aireon space-based ADS-B data system is hosted on the Iridium® NEXT satellite constellation, which consists of 66 low-earth orbit crosslinked satellites with an additional nine satellites in orbit serving as spares. The constellation was completed in January of this year and is expected to be fully operational in the coming weeks. Aireon has partnered with FlightAware® to provide global flight tracking through FlightAware®’s products and partners like SITAONAIR.